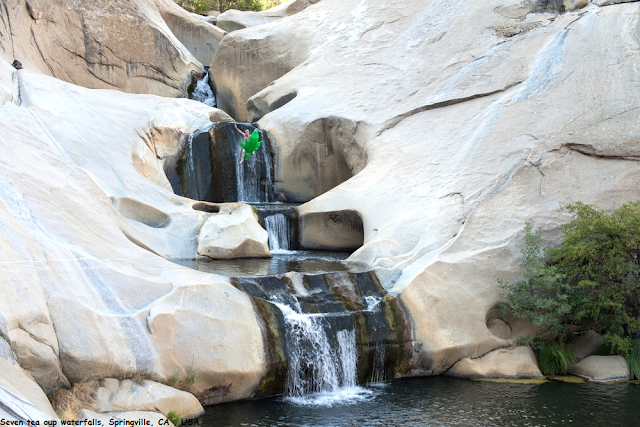 Seven Teacups is a short section of Dry Meadow Creek just before it joins the Kern River and is one of the best Class C canyons. This canyon is best descended in summer or fall, or whenever the flow is not extremely high as there are flow-related challenges. The technical descent is relatively short and, because the terrain is relatively forgiving with short jumps and multiple escape points, this canyon makes for a perfect practice ground before attempting longer and more difficult Class C Sierra canyons.